In honor of International Bereaved Mother's Day, Alexis Marie Chute shares her personal story and offers advice for celebrating all mothers on Mother's Day. As I write these words my best friend is arranging funeral services for Emree, the baby she recently miscarried. Yesterday she told me that when she passed the racks of infant clothing at Target, she nearly wept. It is without a doubt that Mother’s Day will be a challenging time for my friend as it is for many mothers without their children—mothers like me. My second child, Zachary, died of a random genetic abnormality in 2010, just moments after he was born. Since then, I’ve approached Mother’s Day with mixed emotions. At first, the day made me feel like a failure as I asked myself, “What did I do wrong?” Then, as the years passed and I had another baby, Mother’s Day regained some degree of joy. Still, four years later my heart continues to ache for my second born. Mother’s Day is a challenging celebration for any woman who has experienced the death of her child. She may feel isolated, sorrowful and even confused about her claim to motherhood. Mother’s Day is one of many “triggers” that will remind her of her baby and the milestones and future that will never be. A trigger can be anything that causes the bereaved to reflect on their loss; a name, location, smell, anniversary, article of clothing—or even a bunch of balloons that boast, “MOM,” in colorful letters. A woman’s love for her deceased child never dies, nor does her motherhood. Celebrate the mom who carried her baby, no matter how briefly, and is strong enough to wake up each day and keep going after the death of that child. Recognize her by wishing her a “Happy Mother’s Day;” she is a mother and deserves happiness. Let her know you are thinking of her. Talk about the baby that died and use the child’s name. Look at pictures and discuss the experience. 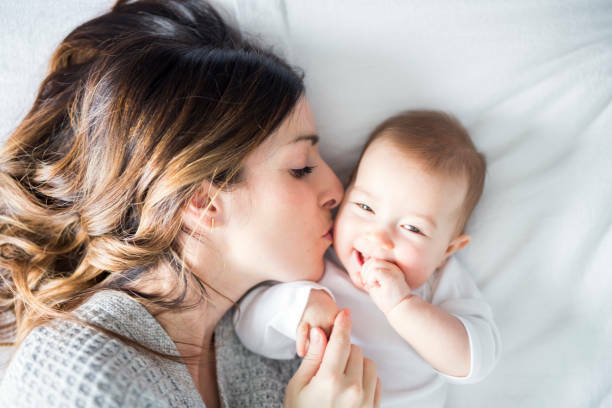 Bereaved mothers will generally commemorate the anniversaries of the baby’s birth and death, but Mother’s Day provides another cherished opportunity for remembrance. On a day that is likely to be lonely for the bereaved mom, instead of a card in the mail, give the gift of time. Your attention and friendship will create a lasting impact. Have lunch in a restaurant, go for a hike or create a new memory together. The mother may wish to visit her child’s gravesite, light a candle or scrapbook the baby’s footprints or funeral program. Doing these activities with the bereaved mother will be quality time she will greatly treasure. In the case that the mother wishes to be alone, suggest another time to do something meaningful together. While a dozen roses and a box of chocolates may be nice, show you care through a meaningful and relevant gift. There are many companies that make bereavement jewelry, statues and ornaments. Other ideas include books, picture frames, candles or personalized keepsakes. Or you could make a donation to a hospital, bereavement program or charity in the child’s or mother’s name. Even a thoughtful letter may be the perfect way to show you care. Ask the mother how she is coping and welcome her vulnerability. The best approach is to let her do the talking. Know that you do not need to solve the event or fix the emotions; these things need to be experienced and expressed and this is often helpful in itself. Create a safe environment for the bereaved mother to share. You can do this by open body language, eye contact, and active listening. If the mother is struggling, encourage her to take good care of herself and find support. A woman never stops being her child’s mom, whether her baby is with her or not. Bereaved mothers have survived the excruciating pain and yet carry on. This bravery deserves recognition—especially on Mother’s Day. Alexis Marie Chute’s son Zachary died in her arms moments after his birth. His short life transformed every part of who she is. As an artist, photographer and writer she has found healing through creative expression. Wanted, Chosen, Planned is her legacy for Zach. She lives in Alberta with her husband and two children.